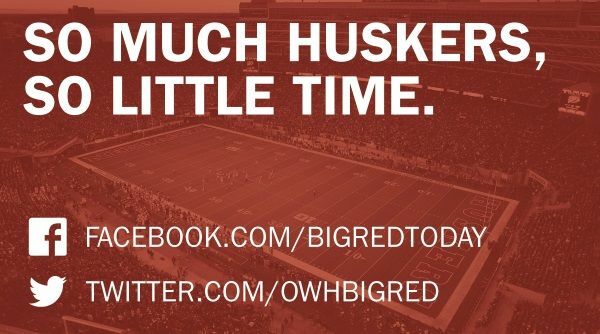 Nebraska’s junior day produced a third commit to its 2015 signing class. Avery Anderson, a consensus four-star safety out of Colorado Springs, Colo., confirmed to The World-Herald on Feb. 2, 2014, that he planned on signing with the Huskers in 2015. And he did. He even enrolled early despite a coaching change to Mike Riley. Anderson's decision to commit followed the commitment of Eric Lee, who is also a defensive back from Colorado. The two have much more in common, too, as shown in this World-Herald feature after their signing. Both had a truckload of major offers before their junior seasons. Both made the Denver Post’s All-Colorado team in 2014 and postseason all-star games outside the state. Both were on top high school teams in Colorado. Anderson won back-to-back Class 4A state titles at Colorado Springs Pine Creek. Lee won three state titles — and fell one point short of four — at Valor Christian. Anderson is a 6-foot-1 and 172 pounds. He currently is ranked No. 224 on the Rivals250 for 2015. Anderson was previously committed to Arizona State and also has offers from Colorado, Kansas State and Wyoming. Once Riley took the job — five days after Bo Pelini was fired — several coaches called from other teams and said, if Anderson and Lee stuck with Nebraska, they’d be in a great situation because of Riley. “The competition advocated for Coach Riley — and Avery paid attention to that,” Avery's father, Kill, said. Riley visited Lee and Anderson in their homes before he visited any other prospects. Eric on Dec. 8. Avery on Dec. 9. Riley’s pitch to Avery actually started with a long talk with Avery’s younger sister, Asia. By the end of the second night, the families talked: Would they take visits to other schools or choose to stick with Nebraska — whether defensive backs coach Charlton Warren was retained or not? Our take: Instinctive and physical, Anderson played the game in high school like he intrinsically understood it. He’ll probably have to add a little weight in college, but not too much — that’d take away from his considerable speed. Anderson is a nice addition in the defensive backfield.